Our G model cassette fan coil unit having Wide angel airflow, 60 degrees from top to bottom, which allows multi selection for air flow directions. 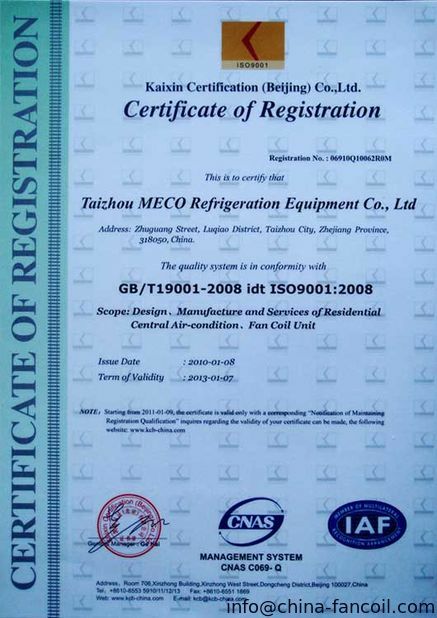 Special designed 8 way air flows, for model of 600CFM, 800CFM, 1000CFM, 12000CFM 1400CFM and 1600CFM. Brushless Panasonic brand DC motor is optional, with higher efficiency and energy saving. 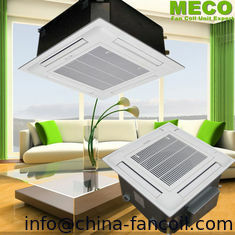 MECO Cassette fan coil units are designed for the climate control of rooms. They are installed above suspended ceilings as flush-mounted units. 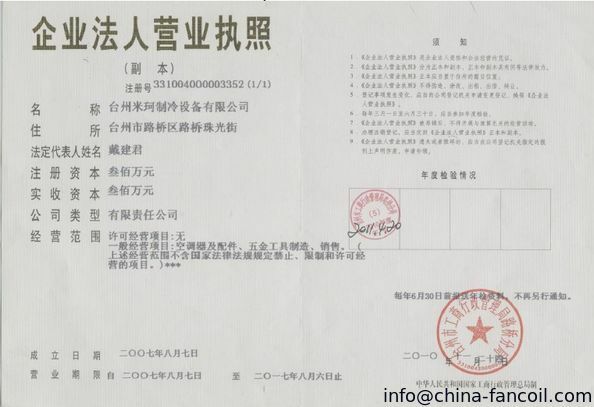 There are 4 models available – one way cassette fan coil units, four way cassette fan coil units K series, four way cassette fan coil units E series, and eight way cassette fan coil units G series – assure you a pleasant, comfortable room climate in summer and winter. Installation in the open space between the suspended ceiling and the floor slab above minimizes space requirements and saves your costs. .
Our Chilled water cassette fan coil units, widely used in theater, restaurant, office buildings, ect.